This cover sums up the LaserActive: bizarre imagery promoted as edutainment. WRITER’S NOTE: 3D Virtual Australia and Blue Chicago Blues were both released prior to Goku, but because I don’t own them and they’re the two rarest titles for the system, we’ll be skipping them entirely. And the LaserActive goes out with a whimper. 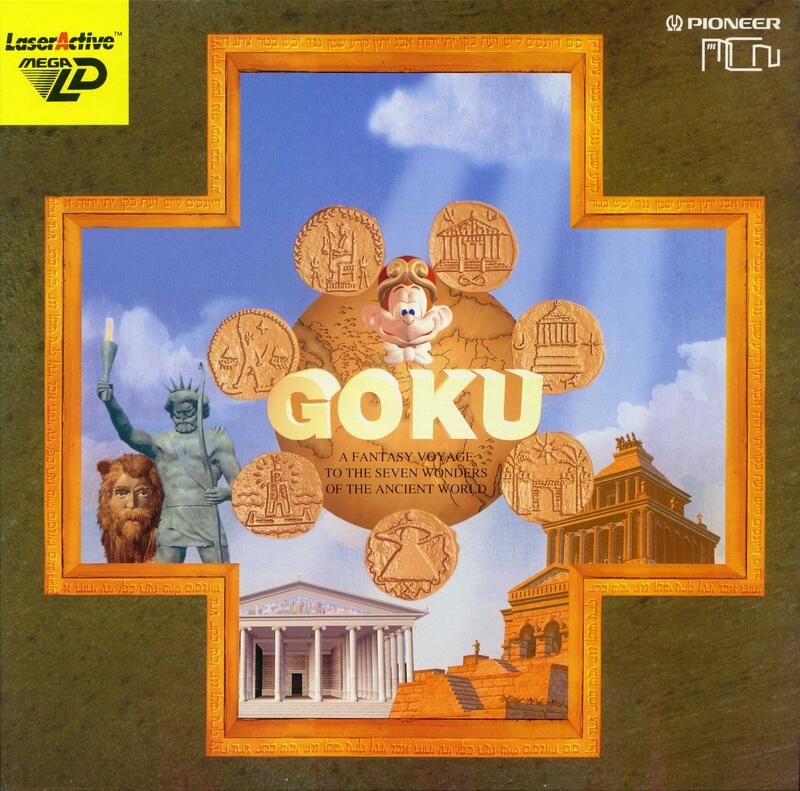 Goku was the last title released for the system, and sadly, it is yet another edutainment title like The Great Pyramid or Melon Brains. It’s a double-sided release with region-specific versions (US release has English, Japan has Japanese). This time the focus is on the 7 wonders of the ancient world. No matter how long you wait, Goku isn’t worth it. 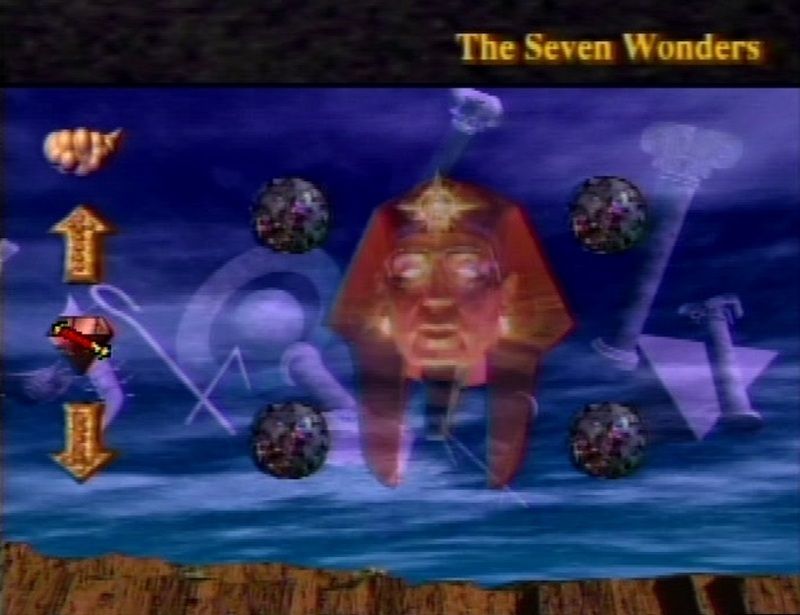 The disc’s title is derived from the horrifying CGI monkey that acts as your tour guide, and may also secretly be a tormentor of small children. Just look at that thing. Or don’t, if you ever want to sleep soundly again. 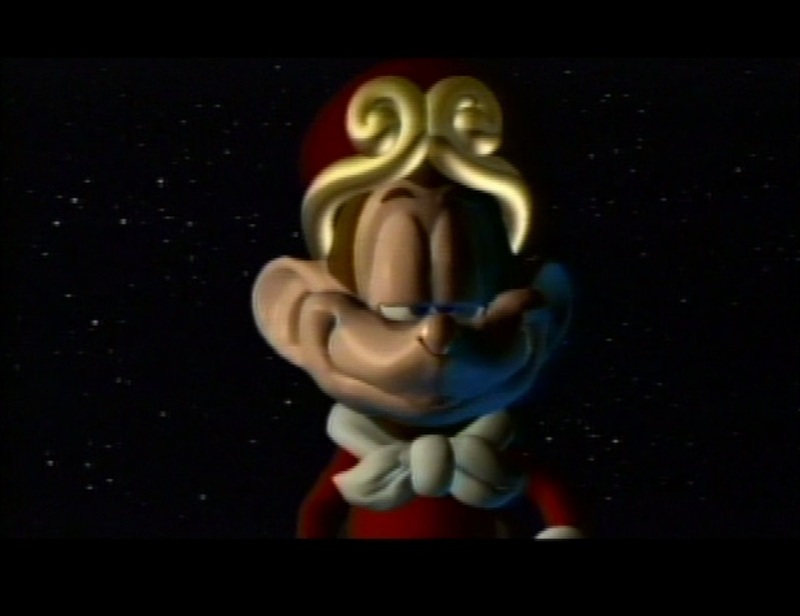 What if Garfield and Jon morphed into a smug, terrifying abomination? 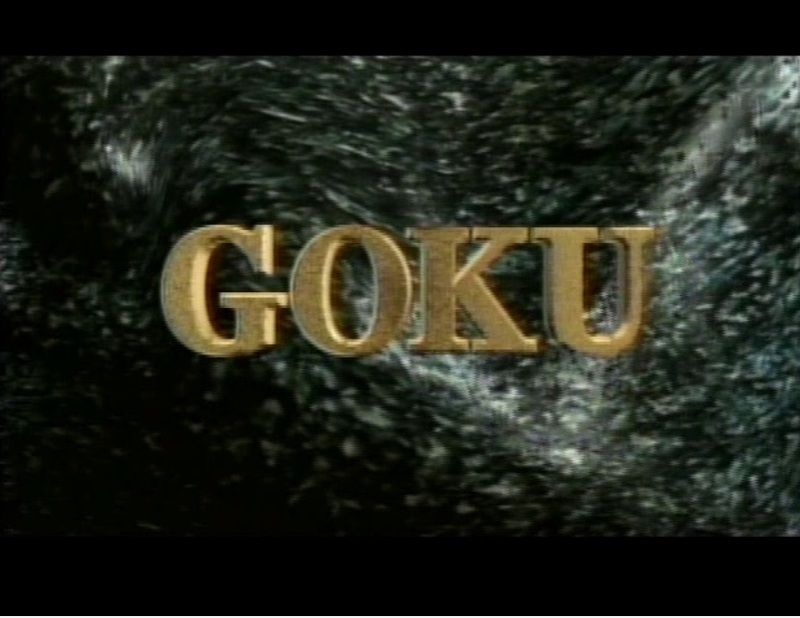 There isn’t a whole lot to say about Goku‘s content. Like the LaserActive’s previous edutainment titles, this is basically the equivalent of an outdated interactive encyclopedia or a DVD. More like the Cave of Blunders, am I right, folks? I’ll give Goku some credit for its strangeness. Based solely on its presentation, the title is certainly the most bizarre out of the LaserActive’s edutainment library. 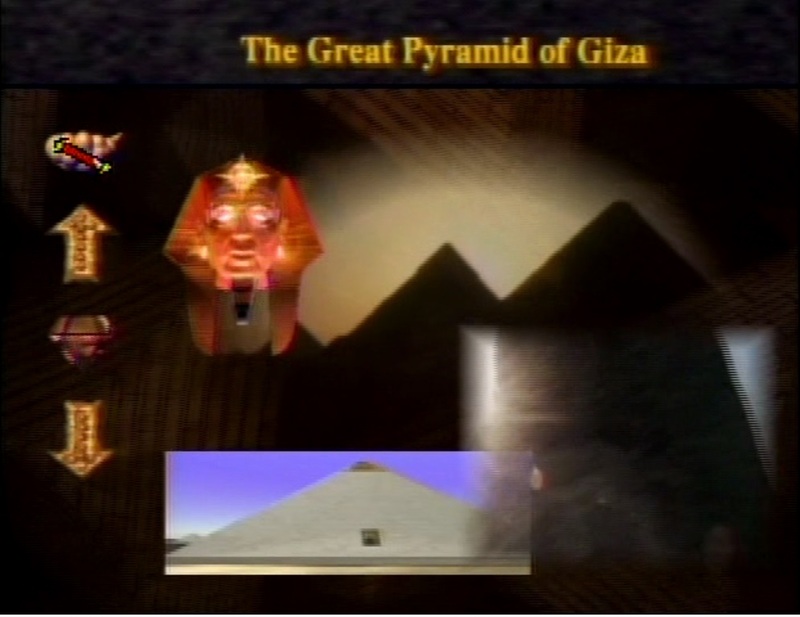 Listening to a shrill-voiced monkey and a floating, transparent, pharaoh head talk in distorted voices is certainly more memorable than the strange scientist mosaic from Melon Brains or the bland narration in The Great Pyramid. Today, however, if someone was interested in learning about the seven wonders of the ancient world, they would be better off visiting Wikipedia instead. I hope that Pharaoh head ate the monkey. And with Goku, Pioneer pulled the plug on the LaserActive and the console faded into obscurity after not-quite two years of support and 20+ releases. Our time with the system has come to an end. I hope you enjoyed following along as I played through this oddball console’s mish-mash of a game library. Thanks for reading! 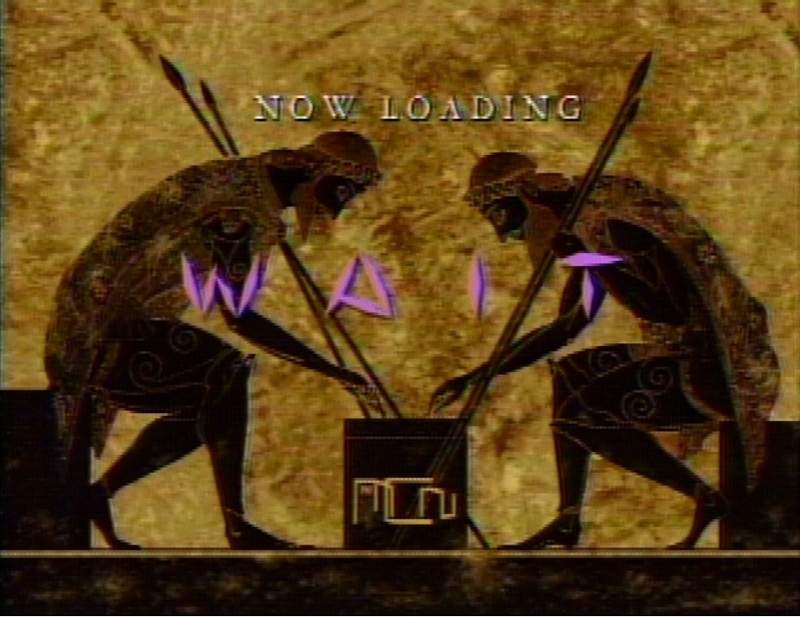 Videos courtesy of the LaserActive Preservation Project. Enjoyed your Mega LD reviews Taylor – thank you. Dylan do you think it’s worth putting place holders in the master games list for the non reviewed titles in case they can get reviewed in the future ? Aside from Blue Chicago Blues and Virtual Australia Taylor mentioned in his Goku review there also seems to be some ‘adultainment’ titles in the above link. Not sure if Taylor has these to review or you decided not to review/include them ? I’d be more than happy to put the placeholders for Blue Chicago Blues and Virtual Australia in there, but I’ve decided against featuring the adult games.